PILATES OR YOGA? WHATS YOUR FLAVOUR? There’s good stress …. And then there’s bad stress. Do you know the difference? And how are you dealing with yours? Its important to be aware of what stresses you out, so you can build a relationship with your biggest stressors and manage the way you react to them. There is the type of stress that is harmful. It can cause physical, mental and emotional aches and pains. It can cause your body and mind to overreact to situations, resulting in digestive problems, weight fluctuation, heart disease, depression, and a host of other issues that no one desires or deserves. It’s time to manage the good, the bad and the ugly faces of stress in your life. Here are 10 tried and true ways to manage your stress, so you can get on the path to living a healthy and balanced life. Recognising the triggers to your stressful reactions is an important first step in managing your stress. True, it might be impossible to remove life’s stresses, but understanding the things that stress you out and in what ways – is particularly in solving the underlying problems. What stresses you out? And how do you react to it? There are a host of physical and mental reactions to stress, and everyone reacts differently. Understanding how it manifests in your life is the first step to finding balance. Moving your body is important to combat stressful reactions, and prevent them from arising in the future. When you keep your body moving in peak condition, you feel lighter and more energized, leaving you prepared to manage life’s stresses. No matter what your fitness levels may be, the central key is simply to move your body every day. Identifying the types of exercises that you most enjoy – and those best suited to your mind – body type will be key to developing a regular exercise routine. Meditation is one of the best tools you have to counteract stress, and your brain’s bias to hold onto negativity. In meditation, your body actually releases stress and reverses the effects of the flight or fight response. This response was really intended to be a short-term mechanism to protect you from perceived danger. And the stress generated within you from the response can be harmful to your health. The EQuilibrium Wellbeing Centre has FREE Weekly Group meditation sessions on Wednesdays from 6:00 – 7:00pm if you want to tap into the power of Stillness. Nourishing your body with the right food will give you the energy you need to tackle what life brings you, including stress. Every body has different nutritional requirements, and Ayurveda teaches us that dietary plan should be based on an understanding of your unique mind-body type. If you’re stressed out, what you’re eating is a great thing to look at, as different mind –body types are triggered by different foods. Its important to make conscious eating choices with your unique mind –body type. 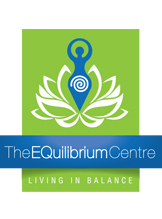 Connect with The EQuilibrium Wellbeing Centre for your mind-body type consultation with Dr Ela Manga. Are you getting enough zzzzzz’s? Restful sleep is an essential key to staying healthy and strong. When you’re well rested you can approach stressful situations more calmly, yet sleep is so often neglected or underemphasized. The key is making sure you’re not only getting enough sleep, but that the quality of sleep you’re getting is restful and restorative. Taking annual vacations is really good for you. Ask your doctor: it appears that going on vacation may not be an icing-on-the-cake type of indulgence – it may actually be necessary for good health. But multi-week, exotic getaways aren’t always an option with the may responsibilities that come with life. Whether you have the time and money to head out on an European tour, or simply afford a long weekend that's close to home, yet away from the grind, planning a break is a great tool for reducing stress. Plus, it gives you something to look forward to. Gratitude is a powerful force that you can use to expand your happiness, improve your health, and you guessed it – it helps you cope with stress. Many scientific studies, including research by renowned psychologists Robert Emmons, have found that people that people who consciously focus on gratitude, experience greater emotional wellbeing and physical health than those who don't. If you’re reading this, you probably have a busy schedule, which is one contributor to stress. When you have a lot on your plate, you end up hurrying through the day and multitasking, which will only exacerbate stress levels. Creating cushions in your schedule is a good tactic to reduce your risk for stress. Leave yourself enough time between getting from point A to point B – whether getting to and from meetings, classes, or getting from home to work to dinner plans – to help diffuse potential stressors that may arise that are out of your control. For example, if you know that you have to be on time to your 9 a.m meeting and it takes you 20 minutes to get to work, leave yourself 30 so you don't have to rush or get stressed out if you hit traffic. No one can deny the mind-body connection. But how much power does the body have over the mind? Research has found that even a phony smile can help you handle stress. So if you’re looking for a way out of stress, you’ll need to smile more. Being mindful and aware of the small body gestures and facial impressions can change your level of stress. Do you do things in your life because you want to…..or because you should? Are you paying attention to the signs the universe is sending you and the guidance you fell deep in your soul? Because we’re so full of ideas and judgments about what we should and shouldn’t do, we tend to ignore the best advice we get – the guidance from our soul. Cardiovascular system (heart and arteries) – This improves cardiovascular fitness and circulation. Studies show that regular Yoga practice may help normalise blood pressure. Digestive system – Improved blood circulation and the massaging effect of surrounding muscles speeds up sluggish digestion. Musculoskeletal – Joints are moved through their full range of motion, which encourages mobility and eases pressure. The gentle stretching releases muscle and joint tension, and stiffness, and also increases flexibility. Maintaining many of the asanas encourages strength and endurance. Nervous system– Improved blood circulation, easing of muscle tension and the act of focusing the mind on the breath all combine to soothe the nervous system. 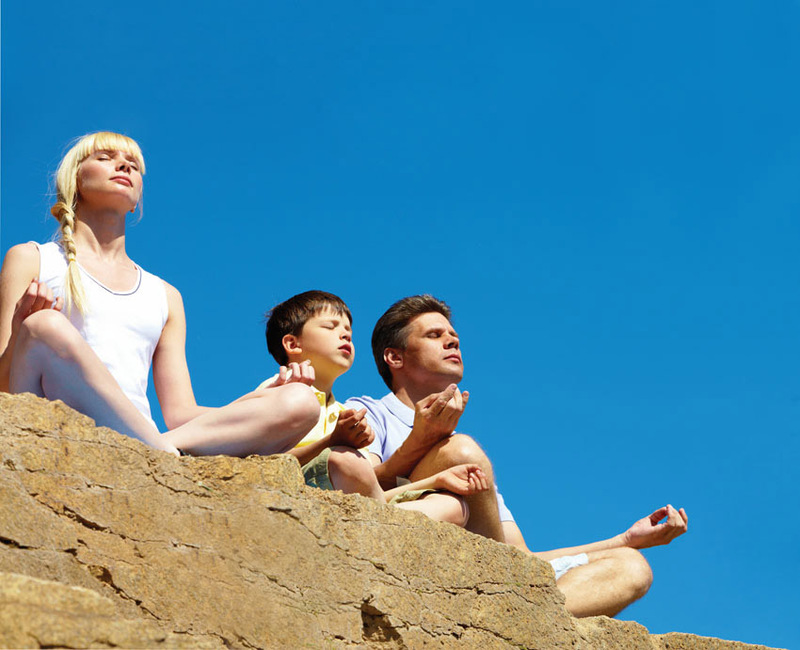 The reasons we meditate are as varied as the many ways there are to meditate. The most common reason most people are drawn to meditation is to quiet the internal chatter of the brain and to reduce stress. Meditation is, indeed, a very effective stress reducer, but its benefits—sometimes are mysteriously hidden and are far more bountiful. The actual act of meditation can be as simple as sitting quietly and focusing on your breath or a mantra—a word or phrase. There are countless traditions and no singular “correct” way to practice meditation. Find a practice that you like and stick with it for a while. Notice how you feel as you go about your days. If you find that you have more patience, feel grounded and better able to respond to stressful situations, and are more in touch with your intuition or “gut feelings,” you are enjoying the many benefits of meditation. Paradoxically, while meditation helps us tune in and turn inward to our true essence, it also helps us detach from our own egos to connect with others in more meaningful ways. Couples counselors have found when they assign their clients meditation, the couples become less angry, more self-reflective, and more loving. When we become aware of—and honor—our interconnection with other beings, we are able to recast our perspectives, see our worries in a different light, and embrace gratitude, which is the heart’s memory. Yogis and doctors both agree: meditating—even just a few minutes of deep breathing—relaxes the brain, reduces anxiety, and decreases depression. When we feel as though we can't afford the time to meditate, but the truth is we can't afford not to. Find a teacher near you: It doesn’t get better than having a real, live person teaching you how to meditate. Make sure you choose someone you really connect with and respect, so that it will be easier to see them consistently. The Equilibrium Wellbeing Centre offers instruction in Primordial Sound Meditation—a powerful meditation technique rooted in the Vedic tradition of India. Try a Guided Meditation: If you don’t have the time or means to find a teacher near you, guided meditations can be a great way to learn. They walk you through the steps and help you find a calm and peaceful state—one step at a time. Try one of these guided meditations, each with a unique theme. You can also sign up for the 21-Day Meditation Experience with Oprah and Deepak. Go on a Weekend Retreat: If you’re ready to dive in and begin a consistent practice, it may be time to sign up for a meditation retreat. A retreat weekend is a great learning experience for the first-time meditator and is perfect for those seeking a true celebration of the power and beauty of meditation and exploring a yoga practice. A weekend retreat is a powerful weekend of awareness and rejuvenation, perfect for those that want to learn to meditate and begin a practice. 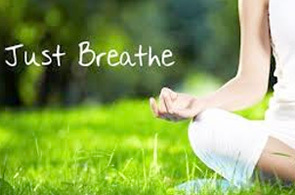 “The way we breathe is the way we live our lives. When we can breathe fully and openly we can transform” – Dr Ela Manga. Something very special happens on the last Wednesday of every month at The EQ Wellbeing Centre, where gathered in a sacred space, you’ll find a room of people lying on their backs breathing, all having the most powerful experience of themselves…These ‘breathwork’ workshops facilitated by Dr Ela Manga, an integrated medical practitioner, are designed to take one directly to a place of meditation. When we take a breath and align it with the shifts that we want to create; then we can start using the breath as an integral tool for change and self healing. If one looks at the brain and the ‘neurobiology of change’, we recognise that time and time over, old habits and patterns creep in. This sets up a vicious cycle often resulting in illness, be it physical symptoms or mental problems such as anxiety and depression that we struggle to break free from. When, however, we realise that change has a neurological process; then we can work on closing that gap by creating new neural pathways. How so? By breathing life-force into our cells! 1. The Excuses: Our minds are very good at using every past experience or thought we have ever had, from spiritual concepts to practical nuances, in order to come up with fantastic excuses that can be very self convincing to stay exactly where we are at, hence we often do just that. 2. The Sabotage: These are the stumbling blocks along the way that are inevitable and out of our control. You get sick so you put it off for a while, or the car breaks down on your way to that appointment… it’s the way of the universe testing you’re will. 3. The Awareness: This is when we start to recognise the thought and behaviour patterns that have been holding us back. We accept and acknowledge the belief systems in our subconscious mind. 4: Taking the First Step: By taking action, we form a turning point for new behaviour. The conscious mind will awaken the cells to change and the body will begin to make the necessary shifts. 5. Point of Choice: While taking the first step is often the hardest, giving up early is another turning point that we need to overcome. This point of choice is what keeps up in the game or not and we need to be careful here not to drop our guards. 6. The Practice: As with anything in life, repetition is the key to success. By doing something over and over again until it become subconscious behaviour (like learning to drive), we start to create new belief systems and patterns that resonate within us. 7. The Shift: The change becomes a part of who we are now, i.e. we move from having been consciously incompetent, to subconsciously competent. 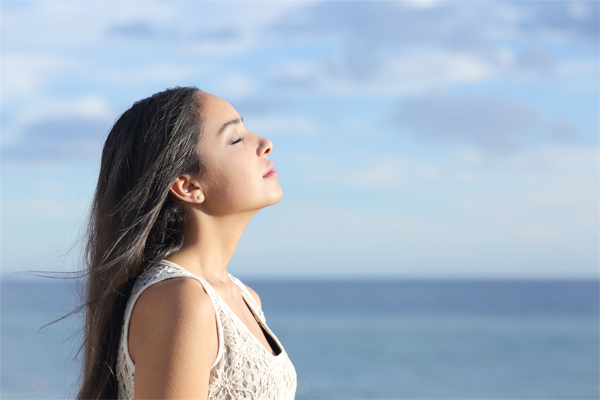 While there are many different techniques for using breathwork effectively, they all have one principal in common: to activate energy quickly using inhaling (for taking action) and exhaling (for letting go). When attending a breathwork workshop, one is trained on how to focus one’s breathing through taking a long, slow, deep inhalation, which fills the diaphragm and then allowing the exhalation to occur passively. This is done by breathing through the mouth and keeping it flowing so that it becomes a ‘consciously connected’ breath-pattern. When we breathe in this way, we are also activating the sympathetic nervous system (responsible for triggering the flight/fight responses within us). However, instead of letting the sympathetic nervous take over, we train ourselves to relax into it, which in turn teaches us to relax into the intensity of life. Yoga or Pilates: What’s Your Flavour? I often get asked the question, which is better, Yoga or Pilates? Or what’s the difference between the two, and can Yoga help me to lose weight? The truth is that there are as many similarities as there are differences between Yoga and Pilates if one were to compare them against one another. In fact, it’s almost like comparing China with Thailand, or Brazil with North America if you like. While Yoga dates back to more than 5000 years ago, its origins deeply rooted in the spiritual practices of the Indian Gurus who studied nature and animals, Pilates was established in the beginning of the 1900’s by a man called Joseph Pilates in search of strengthening exercises that would connect the deep internal stabilising muscles of the body and enhance mental well-being. Both are focused methods of movement that facilitate positive changes in the body, mind and spirit. However getting into the specifics, Pilates is known as a "workout," and Yoga as a "practice” / lifestyle. The irony here is that, in order to improve at anything, we have to practice, and when we practice well both Pilates and Yoga are can be exceptional workouts. Both Pilates and Yoga value the principles of correct breathing, which is essential for the body to relax and regenerate. Though Pilates focuses more on the intercostal breathing and Yoga on the abdominal breathing, the awareness within the routine is for the individual to connect to the source and force of life, via the breath. In Pilates, every movement emanates from the centre (core) and extends to the limbs. In Yoga, it is the concentration on the breath, first, then focusing on deepening a pose. While in Yoga, the primary goal (aside from proper alignment in the poses), is to stay connected to the breath; in Pilates, the first order of business is the precision of movement and then the coordination of that movement with the breath. The breathing patterns are quite different in both. In Yoga, for the bulk of the asana practice, the breath is either ujjayi, a smooth, heat-inducing breath that sounds like the ocean, or kapalabhati, a rapid breath that creates greater internal heat. In Pilates, the breath for most exercises is a slow, controlled, diaphragmatic breath, but a few exercises use a rapid, staccato-like breath. 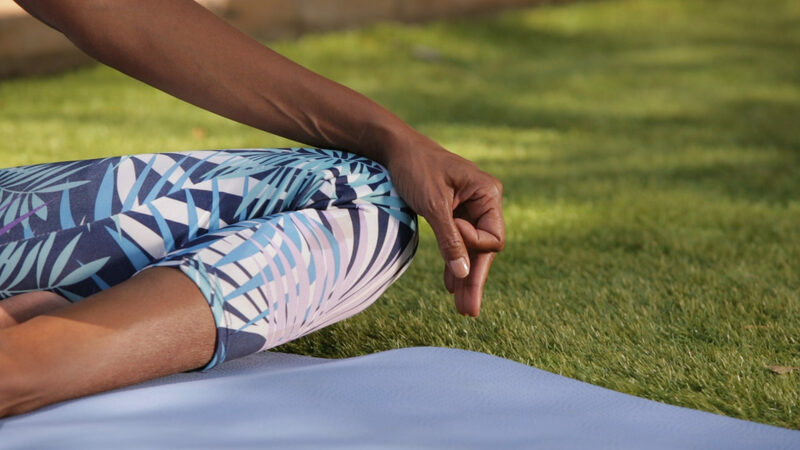 Since Yoga is considered to be a holistic practice, the main objective of using breathing techniques is to help facilitate a moving meditation throughout one’s practice, in order to unite the mind, body and spirit. On the physical level, Yoga postures, called asanas, are designed to tone, strengthen, and align the body, increase flexibility, and promote blood flow to all the organs, glands, and tissues, keeping all the body's systems healthy and balanced. Sun salutations, warrior poses, standing balances, seated forward bends, twists, backbends and inversions are all standard poses that you will see in just about any yoga class, regardless of the style. While yoga is practiced by many with goals of spiritual union and improved health, make no mistake: it is quite a workout, too. Every muscle gets stretched, strengthened and challenged is a yoga class. Many of the exercises you'll see in a Pilates’ workout are inspired by Yoga, and the postures in Yoga are incredibly similar to the shapes and positions used in Pilates exercises. At the same time, there are exercises that are completely unique to Pilates as well as those that are specific to Yoga class alone. A major difference is that in Yoga, one generally holds each pose for a longer period of time, while in Pilates, you move at a slightly faster pace using resistance. Yoga concentrates mostly on increasing strength and flexibility of the spine and limbs; Pilates focuses on building abdominal strength first, and then symmetrical musculature as well as overall flexibility. In Pilates, most of the exercises are performed lying down, either prone (on the stomach), supine (on the back), or side-lying. These movements aim to defy gravity the entire time, engaging the abdominal centre in order to lift up from the ground to lengthen muscles. In yoga, most of the poses are done standing, and work with gravity by rooting down into the earth in order to lengthen the body away from the floor (with the exception of arm balances and inversions where one tries to defy gravity). Note that in yoga, there are a number of poses done on the floor as well, such as seated forward bends, twists, bow pose, and plough, and in Pilates, there is also standing series, such as the sculpting series or exercises that integrate the magic circle prop. Another distinct difference is that Pilates has a full mat routine, in addition to exercises that can only be performed on specific Pilate’s machines, such as the Reformer, Wunda Chair and the Cadillac. Overall, the biggest difference between Pilates and yoga is the ultimate goal. Yoga provides a meditative environment for you to improve your overall quality of life. It focuses on stress relief while improving your body. The main goal of Pilates is to strengthen the stomach, improve posture, stabilise and elongate the spine and develop balance and overall strength. The Question Remains: Should you do Yoga or Pilates? The best way to really learn how they're different and what you may prefer is to try them for yourself and experience both. Although I practice some form of Yoga almost every day, I also incorporate one or two conditioning sessions into my workouts each week. I enjoy the flexibility, freedom, and challenge of Yoga, as well as the attention to detail that Pilates provides. Consider your fitness priorities and level and build your routine from there. The main thing is that you want to pick the one that you enjoy and that you can do on a regular basis.